We have just recently concluded arguably one of the most controversial and polarizing years in the history Spider-Man comics. We got the “death” of Peter Parker, the beginning of the “Superior” era, a host of new series like Superior Foes of Spider-Man and Superior Carnage, and the re-branding of titles like Marvel Knights Spider-Man. While I haven’t typically done “year in review” lists in the past, given just how eventful the past 12 months have been, I figured now was as good of a time as any to start a new tradition here on Chasing Amazing. 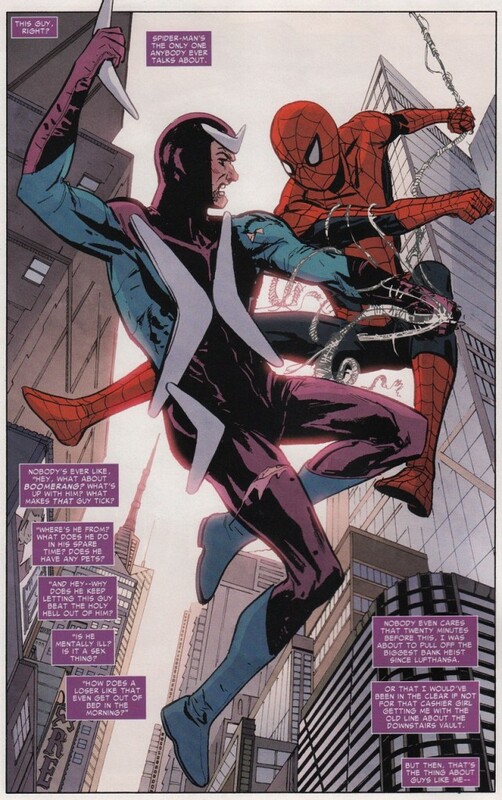 The “Troubled Mind” arc – Unquestionably my favorite Spider-Man story of 2013, Superior Spider-Man #7-9 gave me everything I hoped for and imagined when Dan Slott and Stephen Wacker first promised they would make us forget all about our “mom and dad’s Spider-Man,” Peter Parker. The storyline marked the first true moment of character growth for Spider Ock, as he was fresh of the murder of Massacre and the savage beatdown of Screwball and Jester, when he then needed to put aside his ego and assist Cardiac in a surgery that will save a little girl. The arc then culminated in Superior #9 which pitted Doctor Octopus against Peter Parker inside of Peter’s mindscape, ending in devastating fashion (and a reference to one of the truly great comic book editing blunders of all time). If and when the “Superior” era ends in 2014, I fully expect to look back on this arc as a high watermark for the Spider-Man franchise. 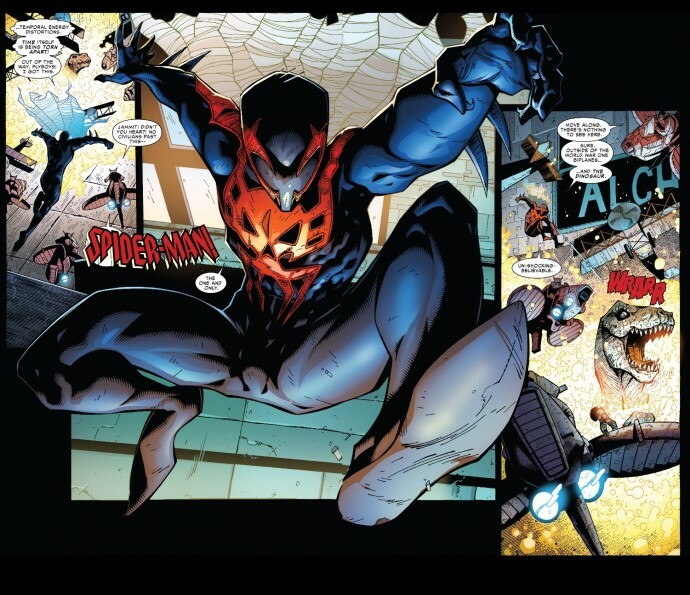 The Return of Spider-Man 2099 – I didn’t even realize I wanted Miguel O’Hara’s Spider-Man from the future back in the mainstream Marvel universe, but that’s what Slott and artist Ryan Stegman delivered in 2013. After a fast-moving introduction to the character, the creative team struggled a bit with its middle chapter before delivering one of the best single issues of Spider-Man for the year with Superior Spider-Man #19. Slott proved to any doubters that his mastery of Spider-Man continuity is unmatched with the way he deftly worked in characters new, old and reborn. 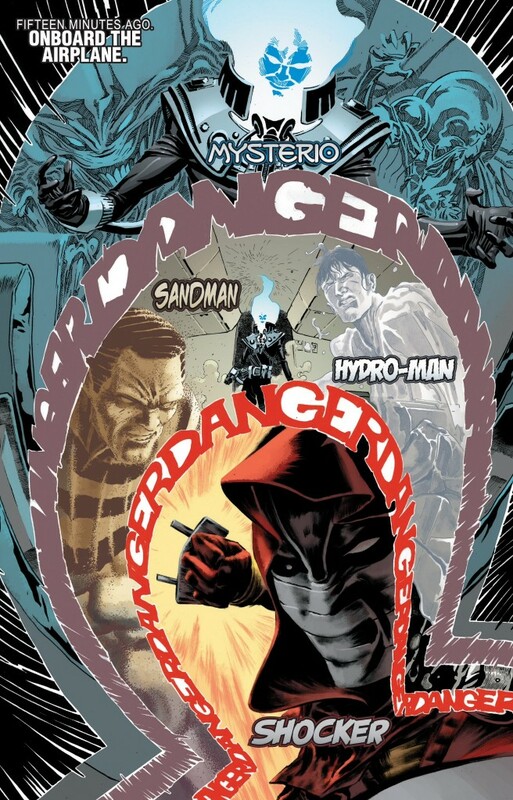 And in what ended up as Stegman’s final issue of Superior (for now), this rising star went out with a bang. 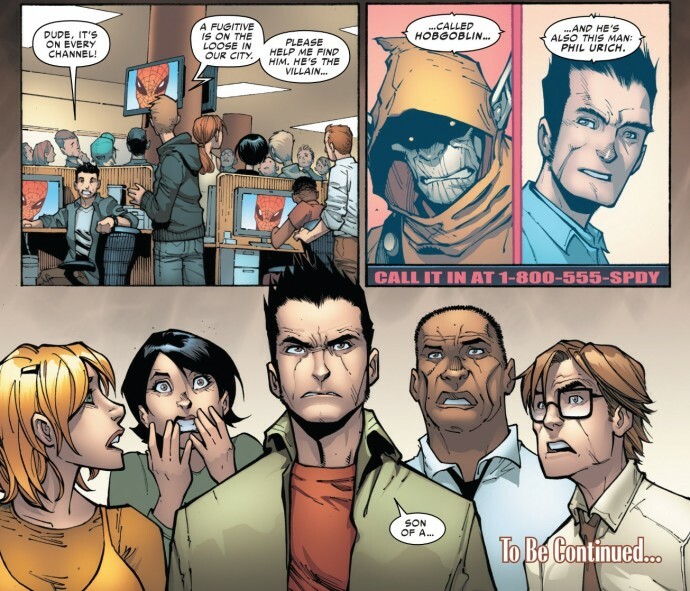 A Phil Urich I Care About – I’ll admit I groaned a bit when I found out that Phil Urich’s corny version of the classic Hobgoblin villain would make a comeback this year, but found myself pleasantly surprised when Slott and Humberto Ramos delivered a story that made me care about the character for the first time ever. The creative team gave Phil some layers, and after Spider-Man burned Shadowland to the ground (more on that in a bit) and took away his Kingpin gravy train, I actually felt bad for the guy struggling to make ends meet. Anna Maria Marconi – My first reaction to Anna Maria Marconi was something that Aunt May would have likely said (more on that later): “oh, a little person. How interesting…” Instead, she ended up being a great addition to the Spider-Man cast and one of the more well-rounded female characters in the series (more on that later). Slott has created a character I’ve come to really care about, which makes me fear the worst when “Goblin Nation” kicks off in February. We know how the Green Goblin can be around Spider-Man’s love interests. Superior Foes of Spider-Man – I famously thought the solicitation for this new title was a belated April Fool’s joke, but in reality, this series might actually be a better read than Superior Spider-Man with its deliriously fast and funny pace and character work that just can’t be topped. Nick Spencer and Steve Lieber do the unthinkable – they make a story with Fred “Boomerang” Meyers as the protagonist work. My only hope is that the readers are voting with their wallets when it comes to this series, because we need Marvel to take more risks like this. Mining Gold from the Clone Saga – The “Clone Saga” is universally considered a creative low point for Spider-Man, and yet a number of storylines in 2013 resurrected characters or plot developments from this era, and did so in entertaining fashion. We had Kaine vs. the Superior Spider-Man in one of the better Superior Team-Up arcs of the year, Kaine vs. Kraven in his own series (which ended in December), and the return of Stunner in one of the better Superior Spider-Man offerings of the year. As a result, I’ve been going back and reading a lot of these “Clone Saga” stories and I’ve found that in SOME cases, it’s not as bad as I initially thought. 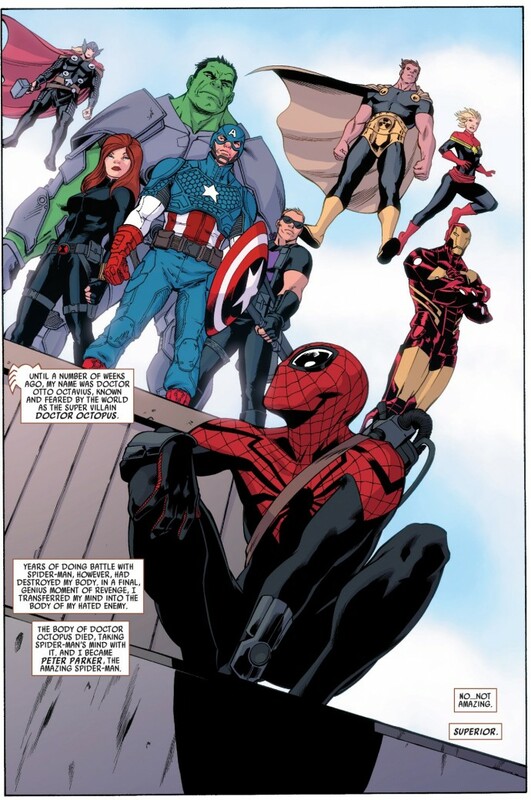 Flashy New Artists on “B” Titles – Nothing against the Superior Spider-Man artist rotation, but Marvel really stepped up their game in recruiting some fantastic artists for some of their “B” titles in 2013. Marco Checchetto has been a revelation on Superior Spider-Man Team-Up and Marco Rudy’s eclectic, psychedelic layouts and artwork (with colors from Val Staples) on Marvel Knights Spider-Man are awesome. Giuseppe Camuncoli’s Mary Jane – Hummina, hummina. “Spider-Man Frost” – Marvel released a score of “point one” issues in December as a way to keep the Amazing Spider-Man franchise burning bright, but the best of these stories was “Frost,” from First Blood author David Morrell and superstar artist Klaus Janson. Morrell’s story has been kicking around the Marvel offices for nearly six years before finally get its chance to shine. 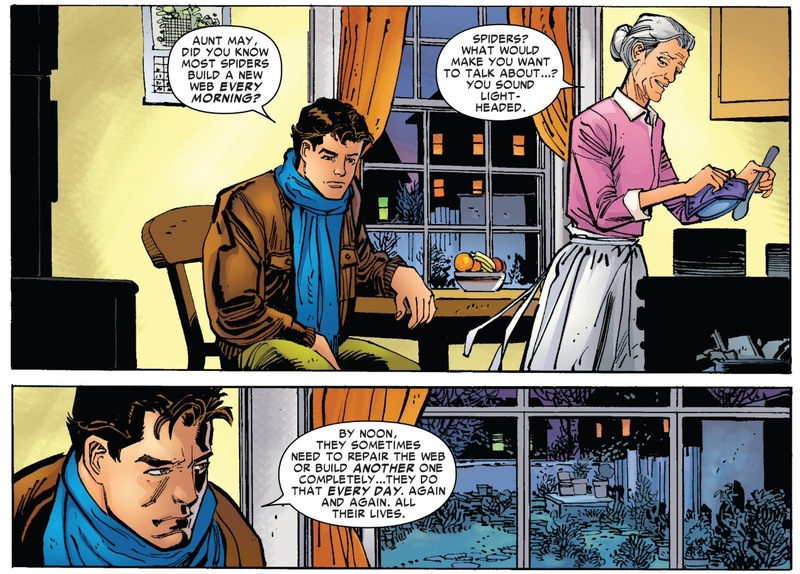 It ended up being a very pensive meditation on Peter’s relationship with Aunt May and the Spider-Man persona itself. The first half of the story was brilliantly written and while there were a few editorial issues with the second half, overall “Frost” was an excellent return to traditional Spider-Man storytelling and absolutely wet my appetite for the expected return of the “amazing” Spider-Man in 2014. 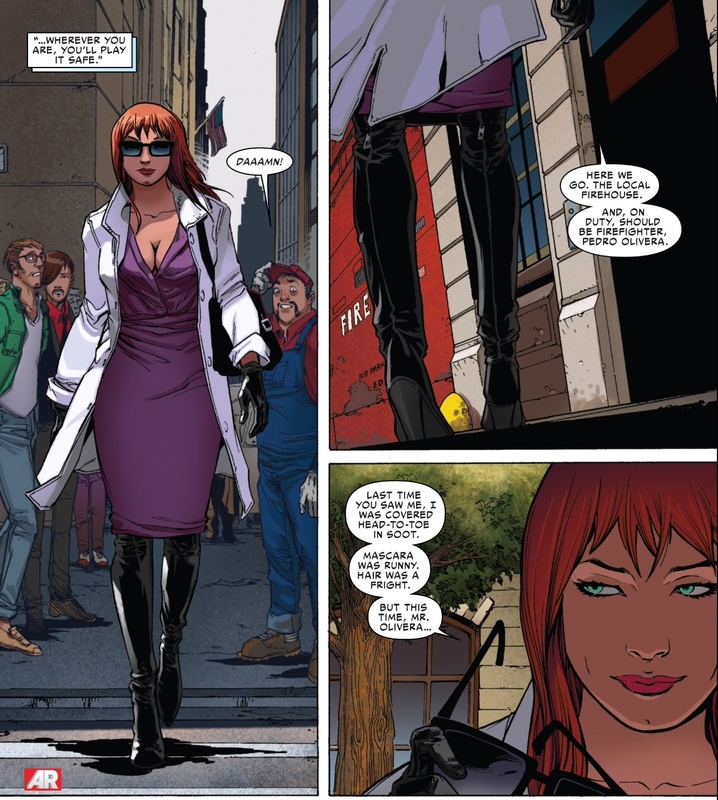 Poorly Characterized Females – With the exception of Anna Maria, the “Superior” era has not been very kind to the women in Spider-Man’s life. 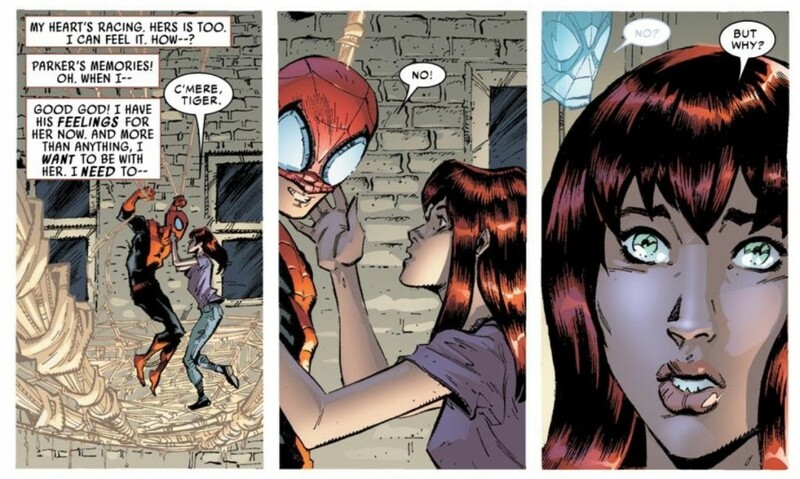 We had Mary Jane initially throwing herself at “Peter” despite the fact that he spoke to her like she was a dog (and only ended up not sleeping with him after Otto pulled the plug on the relationship). Then we’ve had the ongoing misadventures of Carlie Cooper, the only character in this story who actually knows the truth about Spider-Man and Doctor Octopus, but is continually put in situations by Slott where she looks like an idiot rather than the expert police detective we were introduced to in “Brand New Day.” We have Aunt May making inappropriate comments about Anna Maria, including asking her about her inability to create “normal” children during their first ever meeting. And while I was not as upset by this development as others, poor Ashley Kafka makes her return to Spider-Man comics only to get ingloriously fridged by Massacre. I don’t think this is insidiously intentional considering how open-minded Slott is about pretty much everything, poor female characterization like this only plays into the comic book industry’s worst stereotypes and tropes. 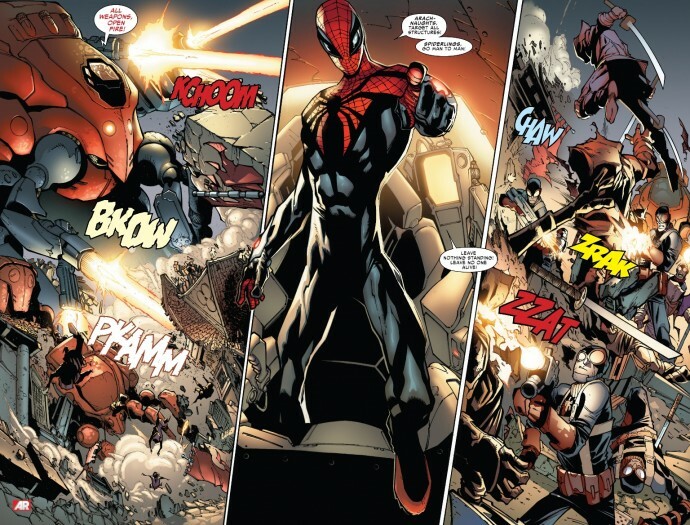 Spider-Man goes Michael Bay – July was promoted as “Superior Spider-Month” and the centerpiece of all the pomp and circumstance was Superior Spider-Man #14. While designed to be a jumping on point for new readers, the comic epitomized everything that’s potentially obnoxious and aggravating about the “Superior” era. I certainly can’t criticize Spider Ock’s actions in that issue as being out of character, but it certainly wasn’t a character I wanted to read about over the long haul. Fortunately, it was just a one issue tease, and the slow and steady downfall of Doc Ock as Spider-Man started soon after this issue. Rebranding Avenging Spider-Man as Superior Spider-Man Team-Up – I know this is a totally unoriginal argument these days, but the launch of an “all new” series in July, Superior Spider-Man Team-Up was a totally pointless endeavor, considering the fact that the series was operating just fine as Avenging Spider-Man for the previous 22 issues. But given that comics are a sales-driven industry, and #1 issues sell better than the rest, voila, we got a rebooted series that advanced nothing and was a waste of my $3.99. The End of Venom – Despite thinking the concept would be dumb, I found myself inexplicably hooked on Marvel’s latest Venom series, as Flash Thompson ended up being an excellent lead character. 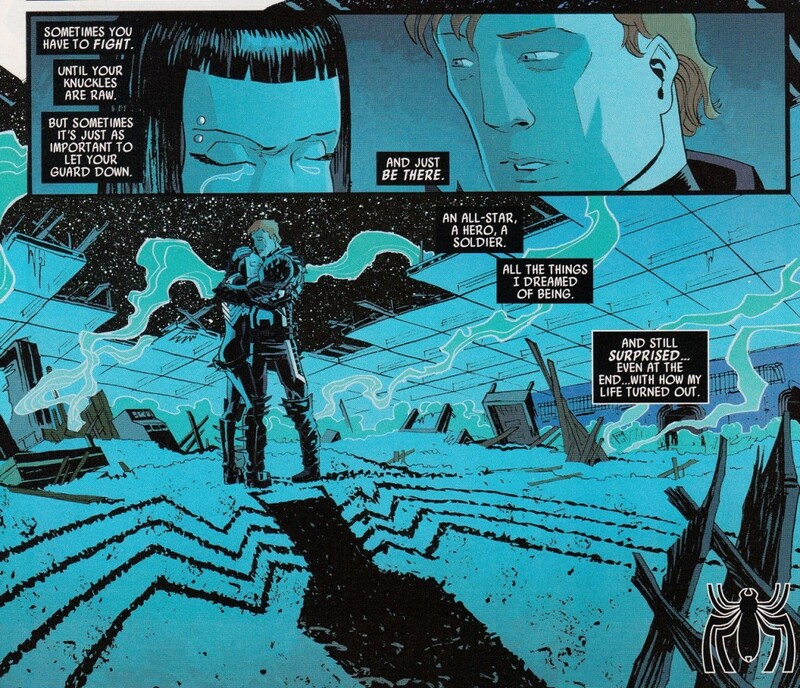 However, after Rick Remender left the series in 2012, Cullen Bunn took over, and the book went in a whole new direction, relocating Flash to Philadelphia, and putting the character in bizarre scenarios against villains that had no connection to Venom or the larger Spider-verse (Crossbones?). Plus they introduced a new symbiote, a young girl named Andi, who was suddenly made out to be disproportionately important to Flash’s story since the series had its plug pulled. I don’t know how Flash will work in the Guardians of the Galaxy in 2014, but I have to think he’ll be more interesting than what we got from his own series in 2013. 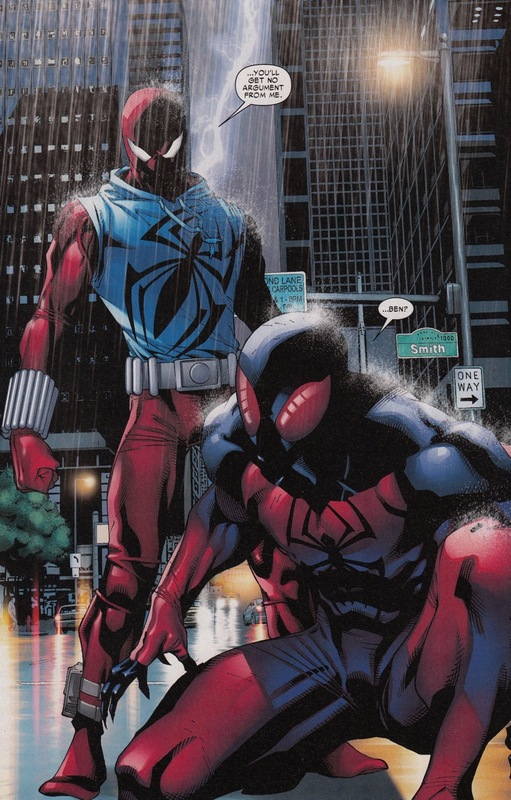 Ryan Stegman’s Anna Maria – I love Stegman, but this wasn’t good. 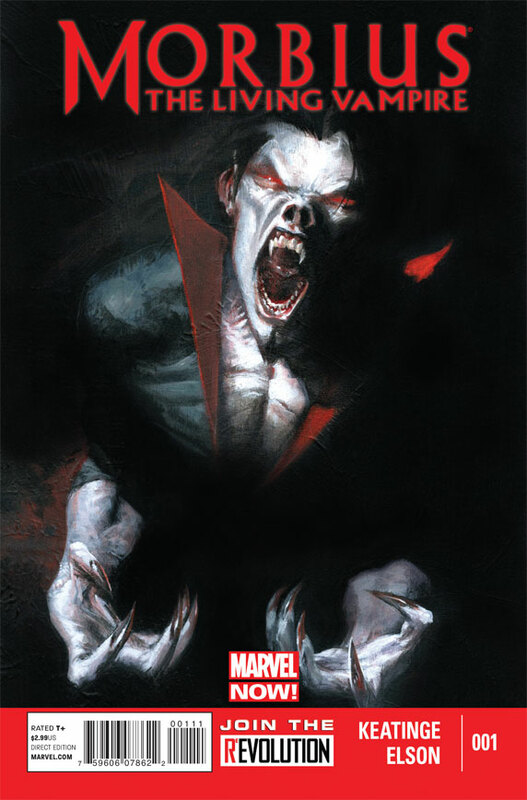 Morbius Has His Own Series – Yes, it seems like an eternity ago, but this did happen, and it wasn’t very good. So there you have it folks, my 2013 Spider-Man year in review. Feel free to share what you loved/hated about this past year of comics. And of course, have a happy and healthy new year and start to 2014! Happy New Year to you too! Enjoy your posts and look forward to what will happen in 2014! Happy New Year to you too! I always enjoy your posts and look forward to see what happens in 2014! I absolutely forgot that Superior Spider-Man is only one year old! It seems like there is so much that happened. 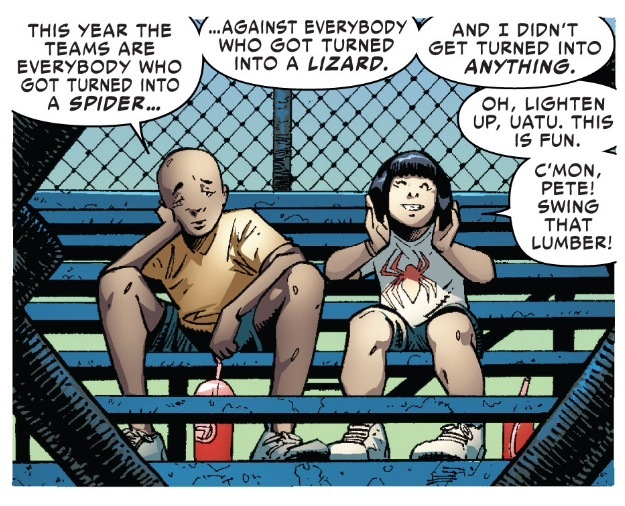 As much as I enjoy Slott’s “every issue is an important mini event” feel, each issue clearly suffered from being only 20 pages (as opposed to the 22 page norm). Scenes are cut short and feel disjointed and some moments that required more time to simmer for maximum emotional impact are quickly breezed through. Despite this, I am still hooked on Superior for the foreseeable future. I think Dan Slott is a great writer and the art this year has been very good, but I am ready to switch back to Peter Parker. The concept is interesting but is going way too long. I just can’t get by the fact that Doc Ock is a murderer and I always feel like I need a shower after reading these books. I hope we haven’t seen the last of Horizon as I enjoyed the new characters and the employment concept that Peter had. I agree that some things feel rushed and a higher page count would help. I also agree the ladies got short changed. Carlie & MJ would have gone to the avengers. It was a good year for reading back issues. I read a lot of great stories. Hopefully 2014 sees the return of the one true Spider-Man. I have to agree on catching up with back issues. I was able to find some illusive holes in my ASM collection myself including the once illusive ASM 298-299 which I got in a lot of 19 Spider books for close to 70 bucks. Both issues are in NM-NM+. Now that may seem steep but considering the lot also contained ASM 315-317 Venom’s 2nd story arc and ASM 330 the first part of Spider Carnage, I believe I came out all right in the end.